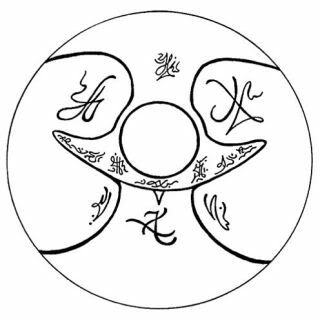 If you want to protect yourself against negative energies or bring balance in your life – you can use these Light Extraterrestrial Protective Symbols - in Extraterrestrial language called TZITZAN and LING OAOU. Will protect you against physical negative forces. They have not yet managed to get the right colors for LING OAOU. 2. The red spots are the planets closest to the place where the supreme light resides. (Central Sun and the 4 Lightest Planets). 3. The triangle represents Knowledge. 4. The two strokes in an angle mean an entrance or a way in. 5. The circle means that the entrance in is closed. Together all the parts in the symbol mean that the way in to the light is closed for negative energies! Please treat all the symbols with respect and love. With this third symbol you build a defense against negative forces, both physical and non-physical. The red pyramid represents wisdom and knowledge. Knowledge is open to non-physical beings. The white pyramid balances all the negative energies. It clears physical energies. With this symbol your knowledge is greater and it balances. 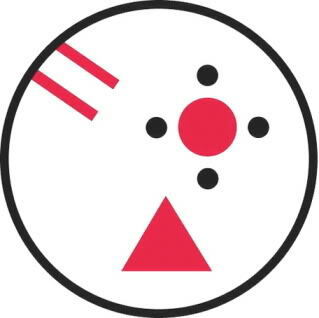 The two red lines at the bottom represent Strength and Power. The symbol opens up for knowledge, power, strength and balance with the "Wholeness." You can stand in the midst of darkness without being contaminated by it. Apart from our other protective symbols, you only have to picture this symbol for yourself and it will give protection. Other symbols must be carried. Of course, this symbol can be carried too! 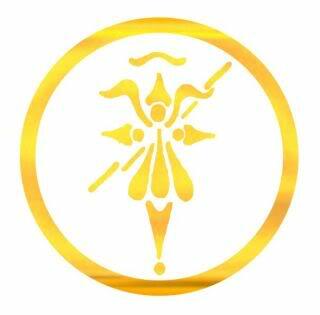 A GOLDEN KNIGHT PROTECTION SYMBOL: These Symbols are Universal Symbols. 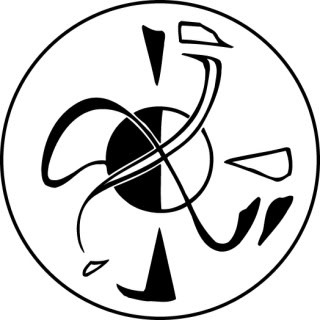 The Protection Symbol is standing for protection inside of The Alliance for Good and the New Light. It can be used as it is, or a person's name or photo can be inserted into the small center ring.